Judge Robert W. Gettleman will make a decision on whether to release the video on Jan. 14. A video showing the 2013 police shooting of 17-year-old Cedrick Chatman could be ordered released this week, becoming the latest in a string of Chicago police shooting videos made public since November. Federal judge Robert W. Gettleman ruled last month that he will make a decision on whether to release the video Jan. 14. "I know there is a lot of public interest in this and for good reason," he said, adding that if his decision in the case is made solely on the footage, there's no reason not to release it. 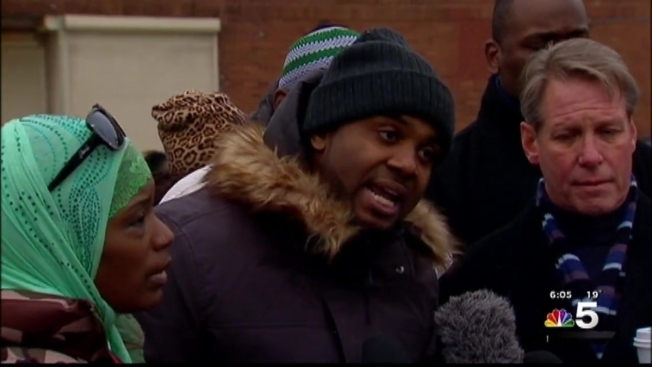 Chatman was killed while running away from two Chicago police officers in January 2013. A U.S. magistrate judge last month ordered the surveillance footage of Chatman's shooting death remain subject to a protective order, stating the video was "inflammatory" and could "taint the jury pool." That same day, another judge ordered the release of video showing the October 2014 shooting death of 17-year-old Laquan McDonald. Attorney Brian Coffman, who is representing Chatman’s mother in a wrongful death lawsuit against the city, said the city is still fighting the release of the video even though Mayor Rahm Emanuel is calling for more transparency. "He should pick up the phone and call us and say, 'You know what, we’re not going to fight this anymore. We want change. The City of Chicago, we want what's best for the citizens of Chicago,' and it hasn’t happened yet," Coffman said. Coffman previously filed a motion asking a federal judge to overrule a magistrate judge’s decision to keep the video sealed. Chatman was reportedly with two other individuals during a cellphone deal that turned violent on Jan. 7, 2013. According to court records, Chatman stole a Dodge Charger and was eventually boxed in by police near the intersection of East 75th Street and South Jeffrey. When Chatman emerged from the vehicle, one of the officers reported seeing him reach for an object before running away, according to court records. The officers’ deposition revealed Chatman turned his body while running. Fearing for his life, one of the officers fired his weapon and shot Chatman. Chatman was not carrying a weapon. Investigators later found an iPhone 5 case near his body. His mother, Linda, has said her son did not deserve what happened. Coffman said the video’s release would help promote change. "Some people may need to lose their jobs and that’s the unfortunate part of it, but we cannot keep going on the same path we are right now because this does not work for anybody," attorney Brian Coffman said. The two men who were with Chatman — Martel Odum and Akeem Clarke — were initially charged with his murder, but the charges were dropped. The men pleaded guilty to robbery and unlawful vehicular invasion. Cameras mounted on a traffic signal, at South Shore High School and at a nearby apartment building recorded different angles of the incident. Coffman said the video shows Chatman running from the police, not carrying a gun or making any movements toward officers that would have made them fear for their lives. Chicago’s Independent Police Review Authority (IPRA) has found the shooting to be justified, but former IPRA supervisor Lorenzo Davis, who investigated the case, said Officer Kevin Fry, named in the wrongful death lawsuit, had no reason to believe his life was in danger before he fired his weapon. "He should not have used deadly force to stop Mr. Chatman," Davis told NBC 5 Investigates last week. "He should have exhausted all means available to catch Mr. Chatman." Davis claims he was fired by IPRA after he refused to change his findings in the case and has since filed a wrongful termination lawsuit. The IPRA had no comment. "The City of Chicago is working to find the right balance when releasing videos of police incidents," city officials said in a statement. "In this case, a Federal Magistrate Judge placed a protective order on the video since a civil trial is pending and the judge is maintaining that confidentiality to not taint a jury pool and ensure a fair trial for all parties." In response to the wrongful death lawsuit, the city previously denied there was any cover up.